Fishing line. A contact mic. A hydrophone. And a solar-powered FM transmitter. These technologies were brought to life by Lindsay Dobbin, UK-based sound artist Helmut Lemke and Halifax-based solar wizard Stephen Thomas to create a mobile, interactive sculpture that plays the tidal line. 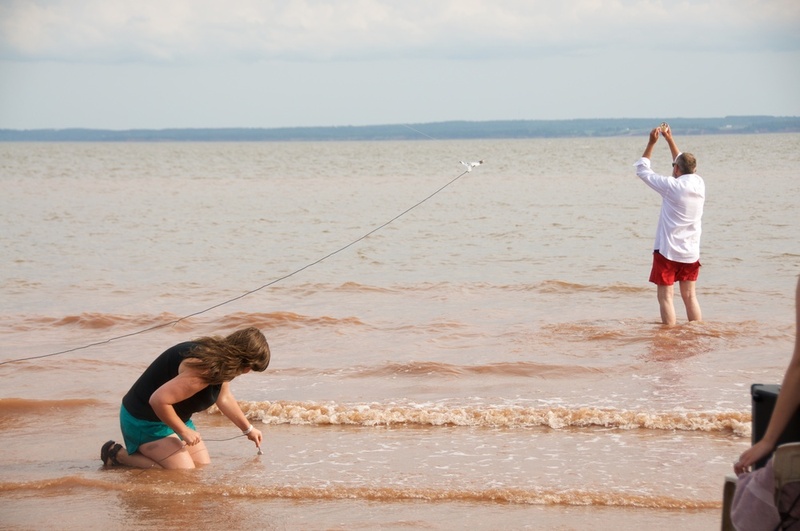 Witnesses were encouraged to participate by bringing radio receivers and walking the intertidal zone — interacting with the body of the radio transmission and contributing to the overall sonic experience. Thank you to Stephen Thomas for contributing his solar power system for this project. Photos by Lauren Fournier, Andrew Godsalve and Lindsay Dobbin.